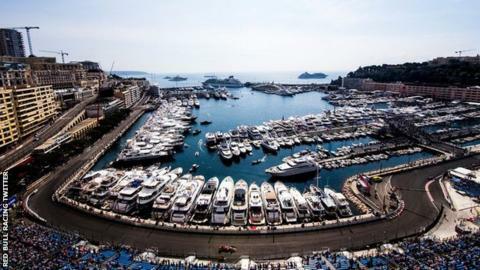 Formula 1 welcomes the wealthy. Drivers often pay for their seats, and others can't afford to make it to the top without forking out millions. As Lewis Hamilton himself asks, will he be the last "working-class driver"? Hamilton has four world titles, and an estimated net worth of £130m. He's the only one of 20 current Formula 1 drivers who can recall a time in his youth when he lived in a council flat with his father, who at one point worked four jobs to allow him to race around the country in his go-kart. Times have changed in Formula 1: team budgets have expanded, popularity in racing has grown, and getting noticed by sponsors is harder, but how much does it cost to get there? The Hamilton family passion allowed Lewis to be the first mixed-race working-class driver to step inside the lavish bubble of Formula 1, and perhaps the last. He says: "When people ask me where the next me is coming from, I say: 'No, these kids come from wealthy backgrounds, not from the struggle I came from. "It goes to the fundamentals of how the sport is governed. There are so many aspects that are not being tackled. There are only wealthy kids coming through. There are not kids from working-class families." Which is a sad reality as costs rise year on year from karting to the top, making it exclusive for those who can pay the excessive price tag - which can range from tens of thousands to more than £1m. So what about the karters who have the same dream a young Lewis Hamilton once did? Josh Morris, a junior racer who started like many with the dream of being in Formula 1, says: "There's only 20 people in the world who can be on the grid so the likelihood of that happening for me is slim. "It would even be too expensive for me to race in Formula 3 if I made my way up through the ranks." The 14-year-old continues: "I'd have to win a big event in a [British karting] Super One race to even get noticed by sponsors. If I did that I could get spotted and go from there. "Unless you get lucky, there isn't a high chance to get where sponsors are looking if you're not wealthy." Matty Street owns Team Karting, which specialises in making motorsport inclusive and affordable for young drivers. He says: "Having funding and support behind you opens more doors. If you want to be picked up by the top teams and go into their feeder programmes, you need to be racing with the best of the best and if you haven't got the money, you're going to be overlooked." Not all drivers on the grid are multi-millionaires, but it requires significant investment at any level. "I won a £30,000 scholarship from an indoor karting track to go go-karting for a year," added Street. "You think 'wow that's a lot' but that dried up after a year. But from there that's where I got the passion for motorsport and went on to study it and eventually own a track." Nowadays in Formula 1, working four jobs - as Anthony Hamilton did - still wouldn't scratch the surface. Mercedes team boss Toto Wolff says: "If somebody is very talented, you probably need to spend 1m euros (around £880,000) in karting through junior, senior and international races." After that there's spending millions in Formula Renault, GP3 and GP2, and then F3. "You are on the verge of getting into Formula 1 but you are not in there," he says. "You need another 2-3m euros to get the drive. So you are talking about 7-8m euros... let's call it 8m, (£7m)." There isn't a driver in the paddock who hasn't started their career go-karting - it is the proving ground for any racing driver. But there are drivers who have paid for their seat on a team. Pay drivers bring investment to a team and have long been around in Formula 1. The most talked-about pay drivers at present are Williams pair Lance Stroll and Sergey Sirotkin. Stroll's billionaire father and Sirotkin's oligarch Boris Rotenberg - who established SMP Racing where Sirotkin started on the young driver programme and is closely connected to the Russian bank - have pooled £65m into the British team this season. While it's known Stroll skipped Formula 2 on his way through motorsport's junior formulae, Williams say Sirotkin was chosen on merit from being a development driver at Sauber, adding "[we] think he's going to surprise a lot of people this year". Nine races into the season, the Russian is the only driver yet to have scored a point. Being a pay driver doesn't mean a lack of talent. But those performing well aren't burdened with the label. Sergio Perez was originally funded by Escuderia Telmex, where he had a close relationship with the chairman who funded him for an undisclosed amount. Once he stood on several podiums he was noticed on his own merit by other sponsors before signing with Sauber in his first Formula 1 season. Then there are driver academies. Charles Leclerc is in his debut Formula 1 season. He's currently in 14th, ahead of some more experienced drivers on the grid, and performed a brilliant qualifying at the French Grand Prix to make eighth on the grid - outperforming the capabilities of his Sauber. He's proved his worth as a previous karting, Formula 3 champion and current Formula 2 champion. He was nurtured - and paid for - by Ferrari's driver academy. But to reach that level you need to already have spent money getting to karting's top level to be recognised by sponsors who have enough cash to finance a career in the junior open-wheel categories. Do dark skies hang over Formula 1's funding future? Street says: "When you first start out, it's easy to find those three, four seconds to get on the pace but then when you're after that half a tenth of a second it costs thousands." Many talented kids who have raced at national championships can't afford to compete any higher. "If they're racing against other kids who have a new engine or a new chassis every race, then they have no chance in being able to keep up with that, and drop down to club level." However, Tim Swietochowski from the Motor Sports Association says: "While it's true that there are some big budgets in national karting, it is still possible to achieve success for less. For example, one young competitor won a national karting championship in the UK last year with a budget of less than £10,000 for the season." On the cost of climbing the single-seater ladder to F1, he said: "There will always be some drivers who climb the ladder more quickly and cheaply, and others who take longer. For example, Kimi Raikkonen spent just one year in junior car racing before graduating to Formula 1, so his junior career expenditure including karting probably came in at well under £1m", while others have spent several seasons in Formula 2 and Formula 3, ultimately spending more. Hamilton's father Anthony says junior motorsport is so expensive it "doesn't encourage those with a dream of F1 to enter the sport, or for the genuine cream to rise to the top". He says: "We worked hard with what we had and were blessed to have been spotted by Ron Dennis [of McLaren] and Mercedes but that isn't enough anymore. "If costs continue to escalate at the junior level, and junior series remain financially unregulated, then I think Lewis will be the last of his generation." Would a budget cap save Williams? Read more on Staring into the abyss: Would a budget cap save the once mighty Williams team?